When Cassie Coburn moved to London, she never thought she’d be involved in a quadruple homicide. 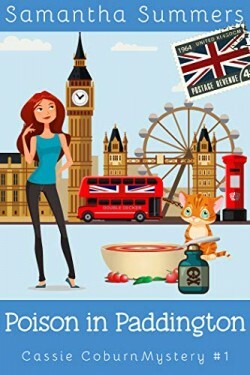 Cassie’s life soon includes this crazy detective, an ancient landlady with a curious past, a mischievous orange cat who likes going for walks on a leash, and a super hot pathologist that Cassie is sure is out of her league. Grace Rampling, sweating miserably in the newsroom during an oppressive heatwave, desperately misses her new lover. Three weeks after she first held Sergeant Adam Davis in her arms, he’s in California at a conference . . . and it’s the worst possible timing. An SUV crushes a Smart Car. Grace’s friend Suzanne discovers a dog shot dead in an alley. Then, as a cataclysmic thunderstorm rocks the dark night, someone commits a terrible crime. In a courtroom, David Sloane can grab a jury and make it dance. 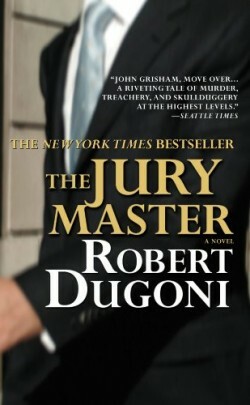 He can read jurors’ expressions, feel their emotions, know their thoughts. With this remarkable ability, Sloane gets juries to believe the unbelievable, excuse the inexcusable, and return the most astonishing verdicts. The only barrier to Sloane’s professional success is his conscience — until he gets a call from a man later found dead, and his life rockets out of control.